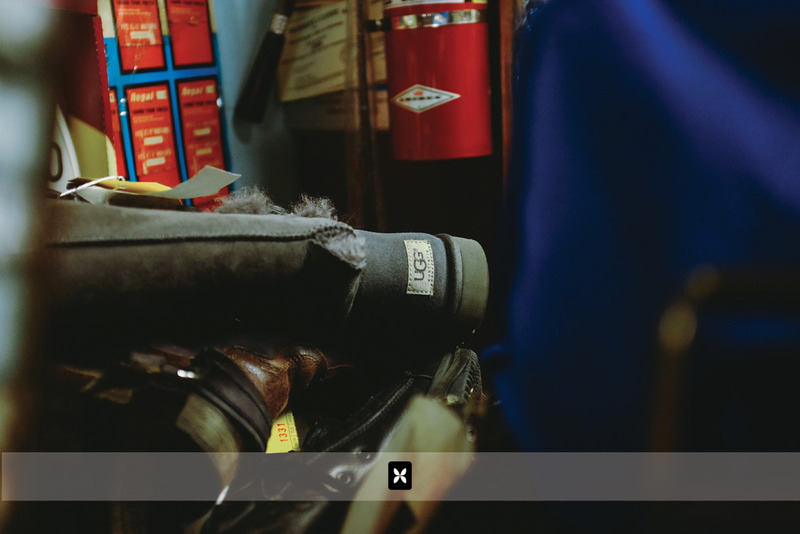 To walk into Walter's Shoe Repair is to take a few steps (or a few generations worth of steps) back in time. First appearances might give a newcomer the impression of disorganization and clutter from years gone by. 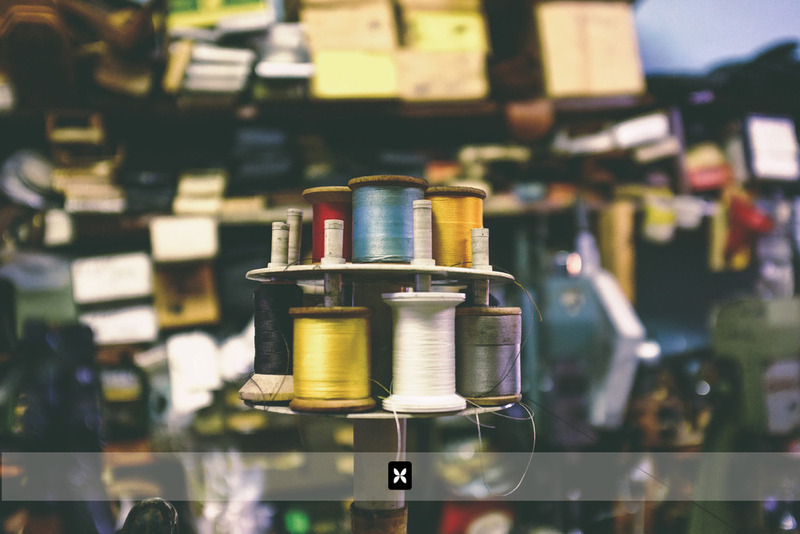 But the smell of fine leather mixed with any number of shoe cleaners and sprays also takes effect and in just a short while, all that clutter and disarray is somehow endearing and homey. And when you begin to really notice the details of the place, you start to find little things that make you chuckle and smile and you begin to see that the owner of this particular store must have some great stories to tell. 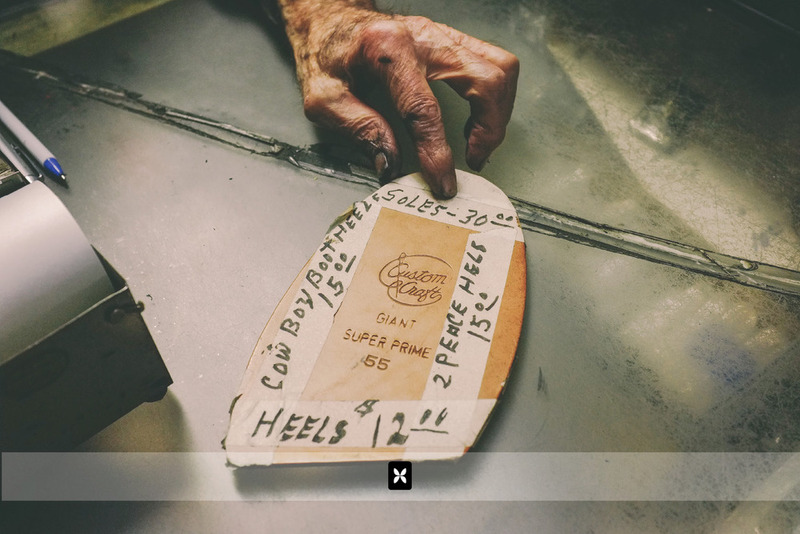 Carl David Walter owns Walter's Shoe Repair. That is to say he owns the business and the building that houses it. And on top of that, he owns 2 other buildings in downtown Rogers where he has worked for the past 30 years. His wife Dorthy who used to be a nurse, also works with him and together, they lead a quiet and simple life. Talking to Carl Walter is a unique experience in itself. There was no question and answer format for this interview. 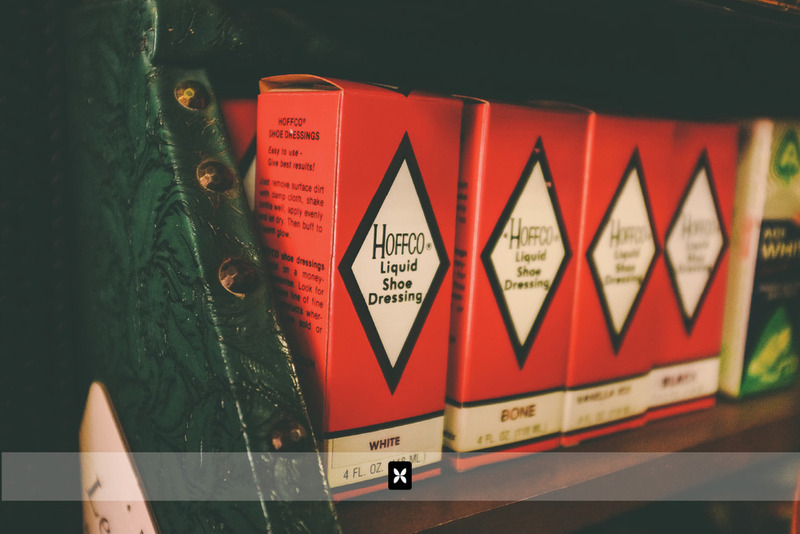 He launched into the history of his childhood and his time in the shoe repair business, during which he happened to mention “before the war” and “after the war”. When I asked about his time during the war, he smiled and began to tell a whole other series of stories. Carl Walter grew up in the 30’s and spent most of his childhood and adolescent years on the farm working. During the 2nd World War, he enlisted in the armed forces. He tells the story about being one day late to sign up for the Navy so it was off to Army boot camp for him. He underwent training for European warfare. Just as he was about to be deployed to Europe, a military courier on a motorcycle rode up to his commanding officer and gave him the news that their orders had been cancelled. Carl was then sent back to boot camp for Japanese warfare training. He was then deployed to Japan but on his way there, his ship was delayed by severe weather. To be exact, 3 typhoons hit his ship….one right after the other. This delayed him from arriving in Japan for a number of days and during that time, the United States happened to drop an atomic bomb on Japan. Needless to say, Carl didn’t see much fighting action in Japan. Instead, he was on work detail and was responsible for operating construction equipment like rock crushers, a bulldozers and a cranes in order to build an airstrip. Many of these pieces of equipment, he learned in half a day by trial and error. 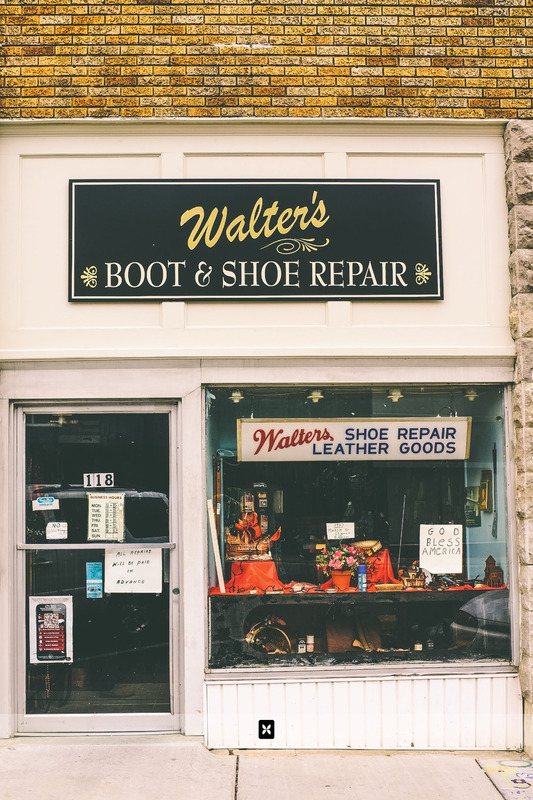 After serving his time in the armed forces, Carl Walter transitioned into the trade of shoe repair, an industry much less intense but every bit as intricate. And that’s what he’s been doing ever since. To date, Walter has worked in the shoe repair industry for some 65 years, beginning in Hutchinson Kansas and then, moving here to Rogers. He’s now one of a very select few in the surrounding area still in operation. 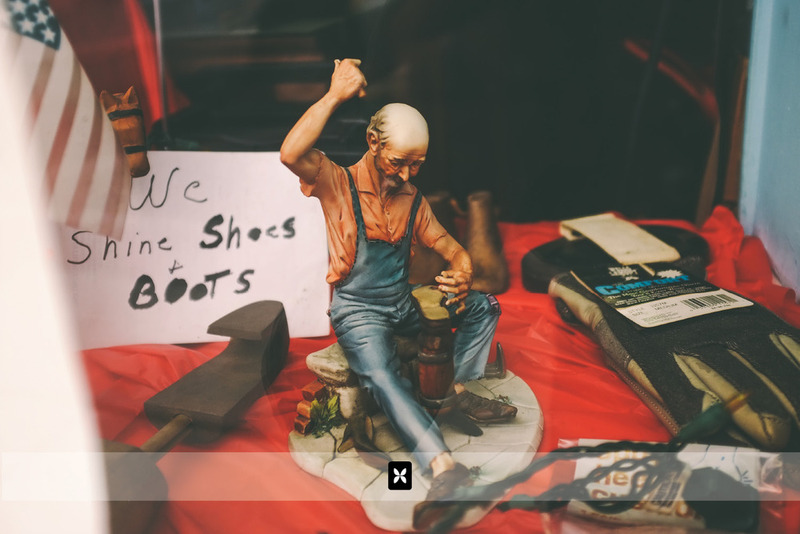 Nowadays, shoe repair is a lost art form of sorts. He tells me that many shoe repair shops can’t stay open because of the increase in the prices of leather and other materials. 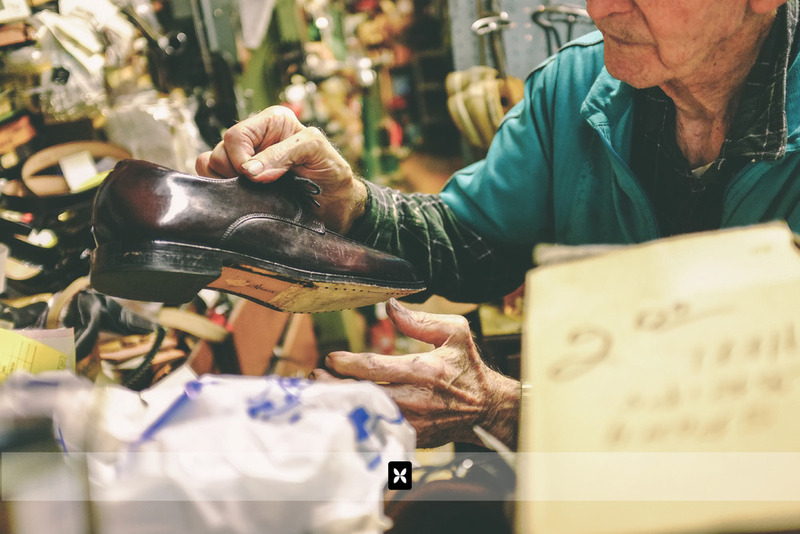 And with shoes being mass produced and people going through shoes much quicker, less and less people take time to have their shoes repaired or even cleaned. But for those who value their shoes and care enough about their upkeep, Carl Walter is still around and more than happy to help you out. 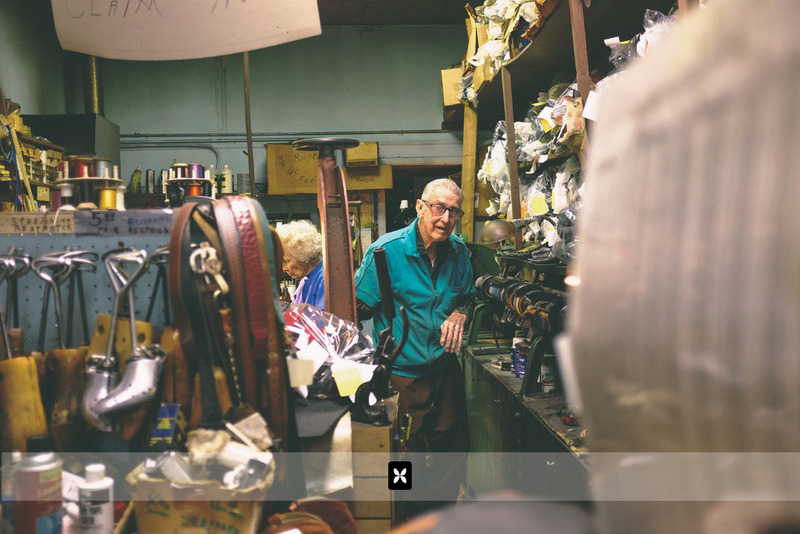 At 91 years of age, he’s still doing what he loves and charging the same prices he charged years and years ago. He doesn’t have a computer inventory system or a credit card machine in his shop. He really doesn't even HAVE to work, he just enjoys working with shoes. He cleans them, shines them, repairs them and just about anything else you can think of. 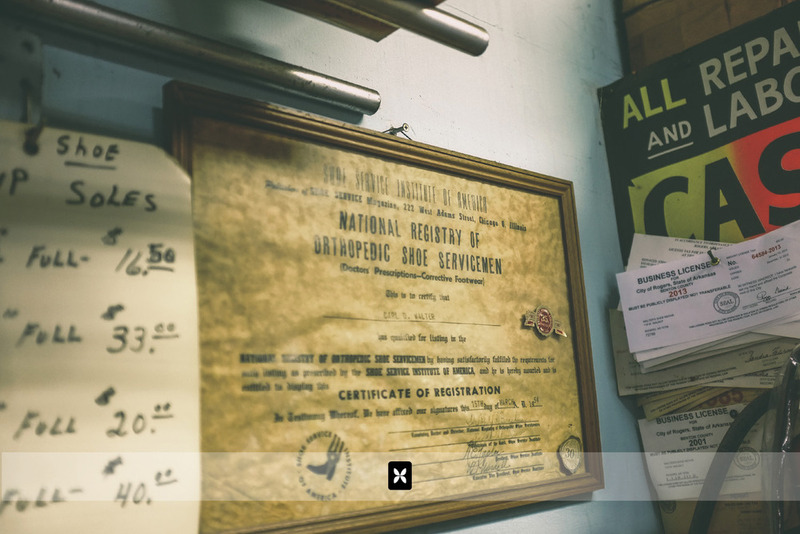 He is licensed to modify shoes for medical purposes (i.e. a person has one leg shorter than the other and they need a special shoe sole to compensate for the height difference). And his craft is not just limited to shoes. He works a great deal with leather in general. While I was in the shop, a lady came in and wanted her purse dyed a different color. They can do that. Not long ago, I had a metal clasp that had come off my leather backpack. Walter reattached the metal clasp to the leather fabric and charged me a whopping $4.65 to do the whole thing. I can’t begin to tell you how interesting it is for me to set foot inside this man’s shop. The smells and sites…the mass clutter, the dim light and the overall nostalgia are so unique to me. As a photographer and lover of good story, I knew the first time I ever ventured into this shop that there was a lot of rich history there. And I finally took the opportunity to sit down and immerse myself in it. Carl Walter is a simple guy with a simple story. You could summarize his life with farming, military service and shoe repair. But to do so would be a huge disservice. After listening to him tell his war stories, to hear him comment on the state of the economy and to hear him talk about the struggles and failures of the others in his unique profession, you walk away with a newfound love and respect for the journey of life. Carl Walter is a guy who's been on the journey of life for 91 years and he continues to do what he loves while smiling, laughing and storytelling along the way.